With over 17 million acres, the Navajo Nation encompasses the entire NE quarter of Arizona, as well as New Mexico and Utah. 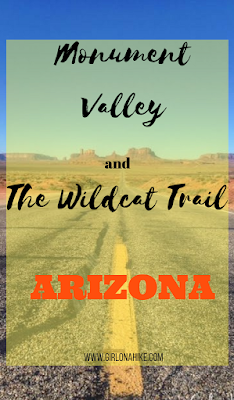 This area includes pristine wilderness, majestic canyons, high mountain meadows, desert, flat lands, and deep blue skies. It is perhaps the most definitive images of the American West. 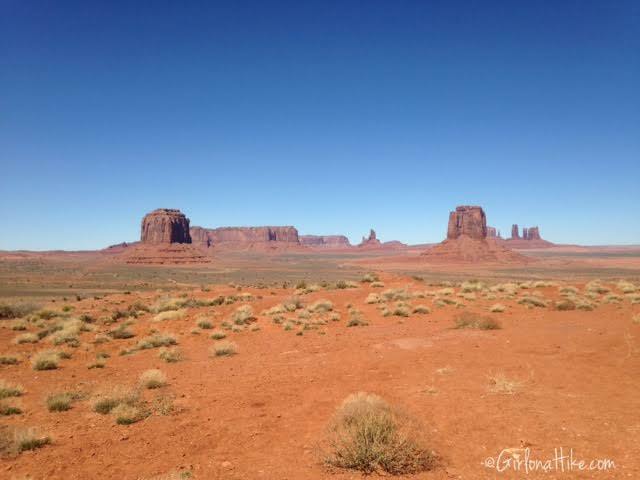 The isolated red Mittens (buttes that resemble mittens) have been photographed and filmed over decades; many movies have been filmed in and near this area. 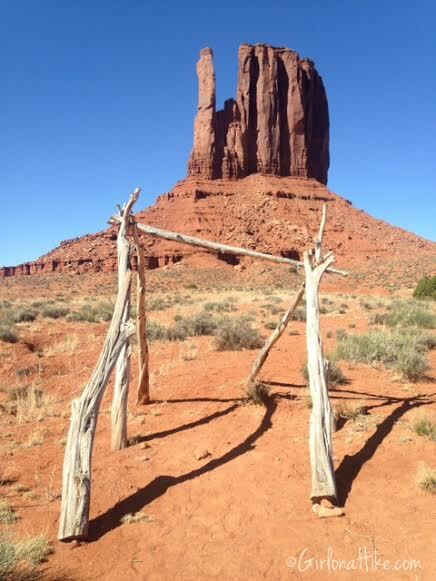 In the mid-20th century, Navajo leaders recognized the need to preserve and conserve these lands for future generations for their enjoyment and spiritual well-being. 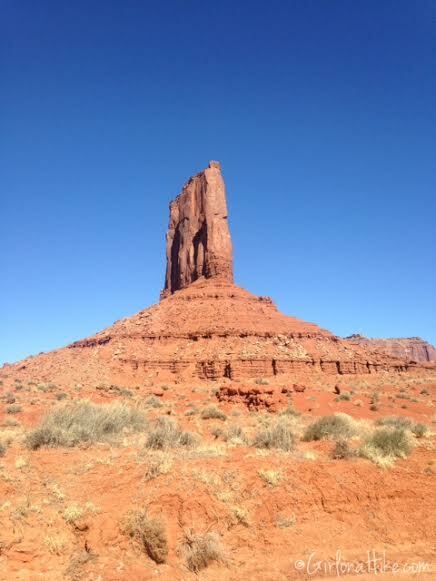 In 1964 the Navajo Parks and Recreation Department was established. It faces challenges to manage, protect, and preserve this area because of the growing Navajo population, but also to promote the economy and social opportunity for native people and tourists. 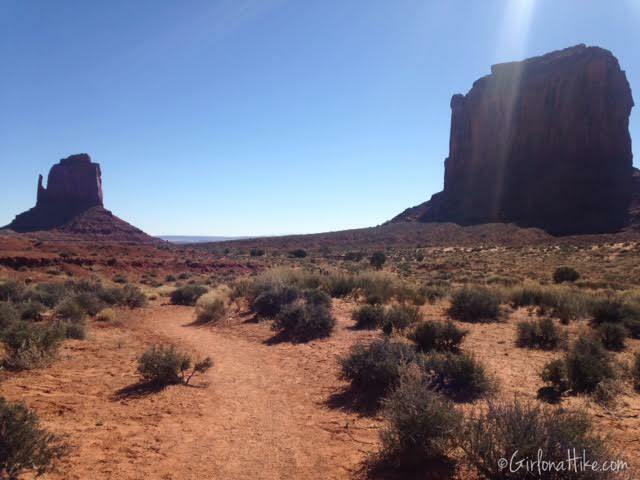 The most popular activity at Monument Valley is to follow the scenic drive - a 17 mile loop that showcases a majority of the park. The view from the visitor center is fantastic enough, but following the dirt road, with 11 signed stops, will allow you to see all that the park has to offer. Typical drive time for the loop is roughly 2-4 hours, as the speed limit for the entire loop is a mere 15 MPH. Most of the road is too rocky or bumpy to go faster, however our Honda Accord made it just fine. Only RVs and very low clearance cars should not attempt this scenic drive. Early morning hours are the best times to visit, as in Summer months the road can be one big traffic jam. From Mexican Hat, Utah, drive south on HWY 163. 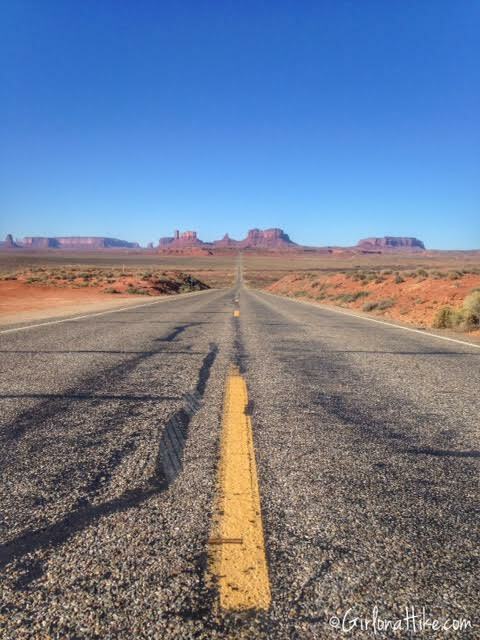 About 13 miles north of the AZ/UT State line is the famous "Forest Gump Hill" where Forest Gump stopped running and decided to return home to Alabama and his love, Jenny. This road is a great "hop out of your car and get a photo" moment. 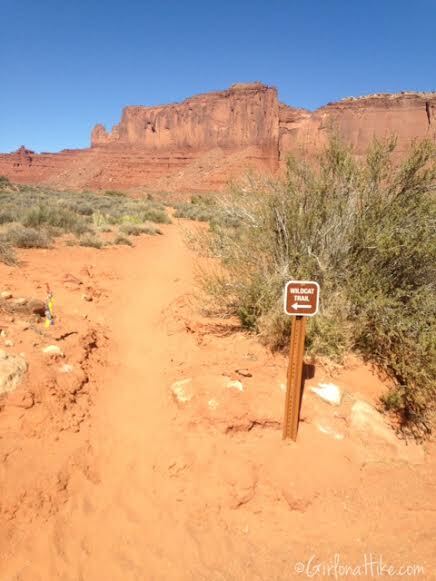 At mile 20, you will turn left onto Monument Valley Rd and follow it for another 3.3 miles to the fee station. Yes it is $20/car for 4 people, and $6/additional person. National Park Passes & Golden Eagle Passes are not accepted. Is there any lodging nearby? 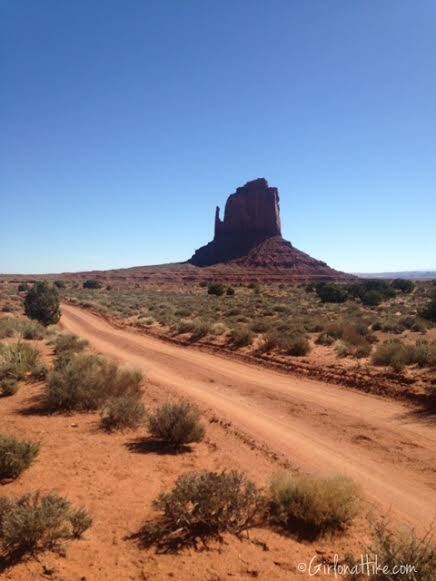 You can camp or stay in a room at TheView Hotel right in Monument Valley. Reserve a spot at least 3-4 months in advance. No, dogs are not allowed. Although you may see many locals dogs, visiting dogs are not allowed. Is this park kid friendly? A quick stop at "Forest Gump Hill". 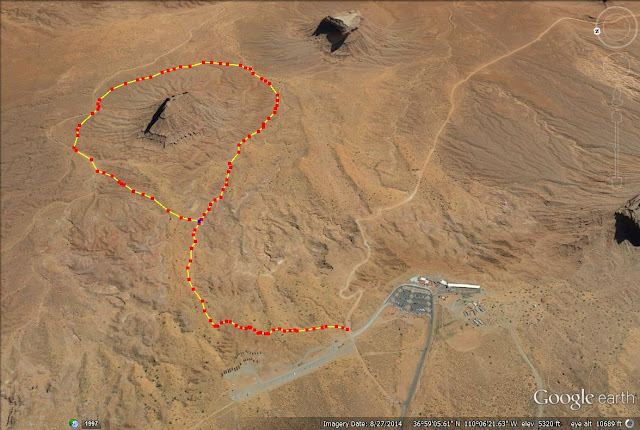 This area is not signed, just pull over by one of the road-side jewelry stands about 13 miles south of Mexican Hat, UT. 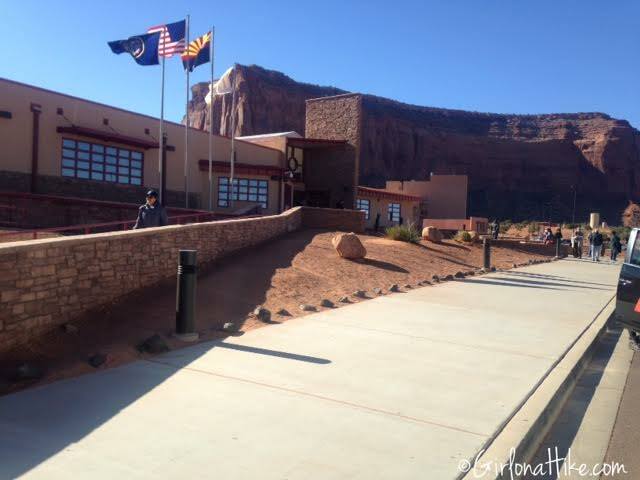 Monument Valley Visitor Center. There are restrooms, parking for about 200 cars, snacks, maps, information, a gift shop, and a fantastic overlook for the valley. 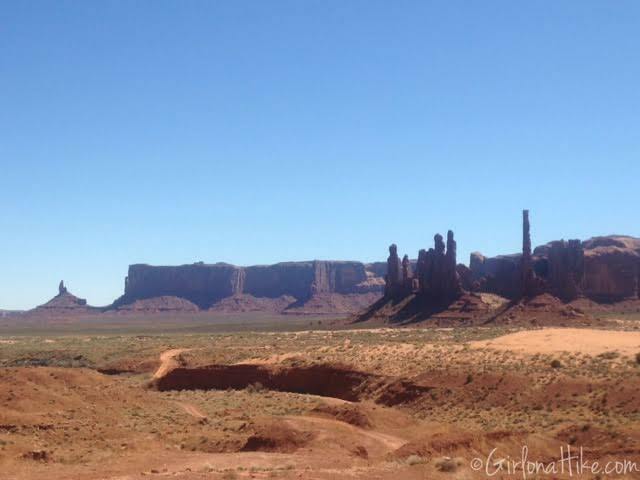 Overlooking Monument Valley from the Visitor Center. 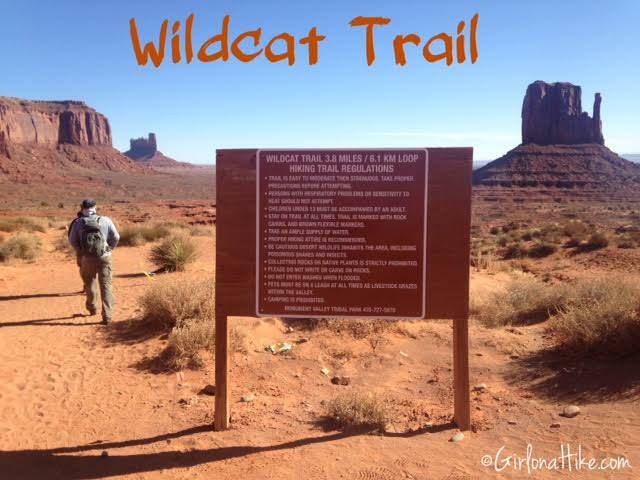 Our first item on our to-do list was to hike Wildcat Trail. 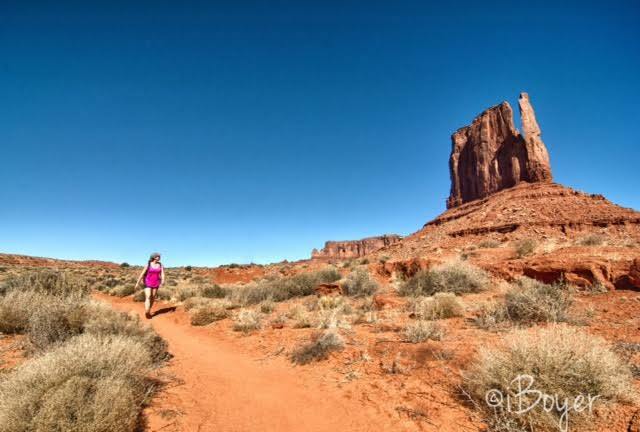 A flat, 4 mile (round trip) hike that wraps around West Mitten Butte. 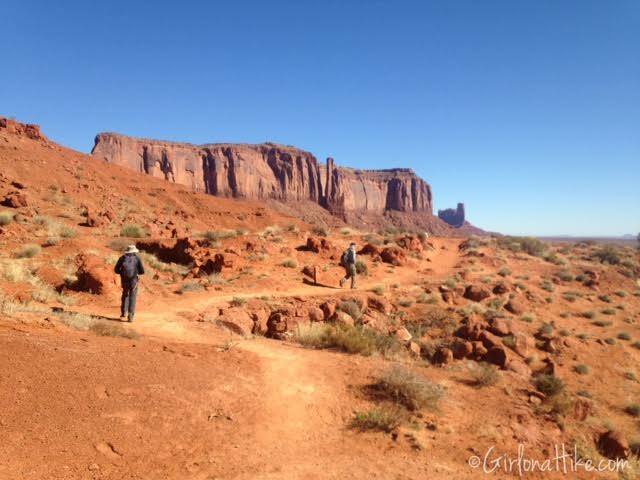 Though Monument Valley is not a renowned hiking destination, I highly recommend to take this trail on your visit. 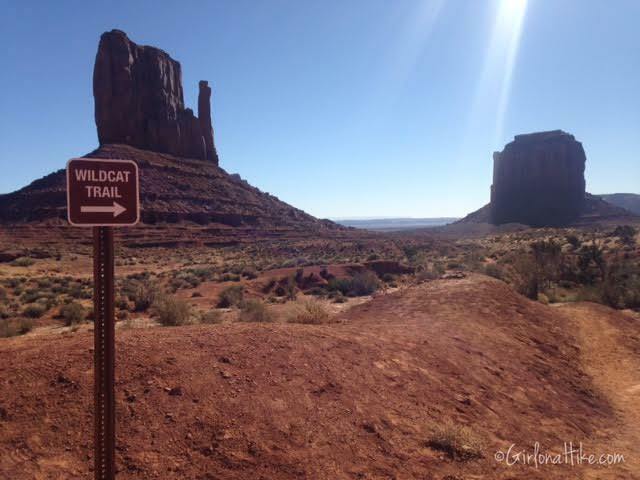 Not only is it the only trail the Navajo allow the public to hike, but offers fantastic views of the area. Start by parking in the main lot, and walk down the dirt road to where the Scenic Drive starts. Just to the left is the signed trailhead. You can see that this trail is entirely exposed to all elements - sun, wind, sand, and no water. 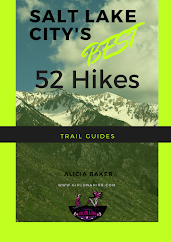 Be prepared to hike at least 2 hours and bring along sunblock and a minimum of 3 liters of water. The hike starts out by heading North. The trail is well defined and well marked. 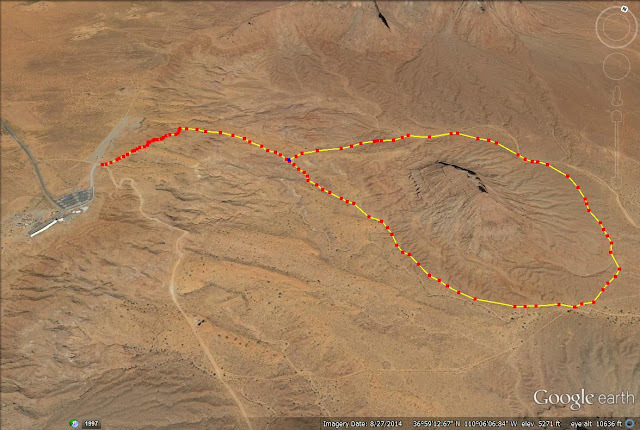 At 0.7 miles, the trail splits. You can go right or left - we chose to veer Right and wrap around the south side of the Mitten. Jumping for joy at what a beautiful day it was. 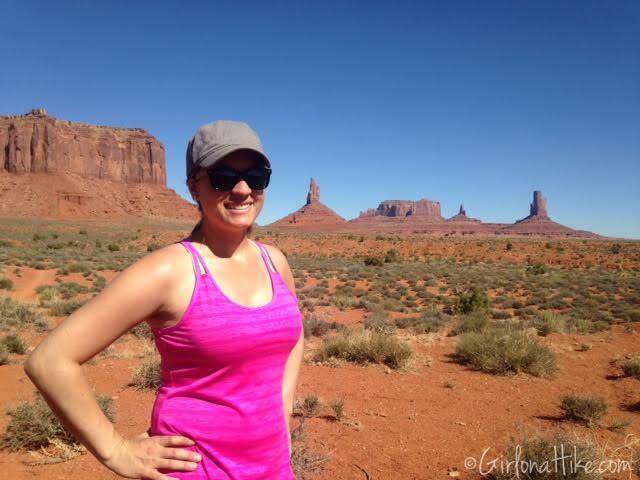 I was so happy to be hiking under deep blue skies and warmer temperatures. Heading in a more Easterly direction with views of Merrick Butte and East Mitten Butte. Looking at the Mitten, almost straight on. The trail follow the road for about 40 yards, then turns North again. An interesting structure along the trail. Continue following the signs, until you make a loop and arrive back at the TH that you started at. Here's a map looking North. You can see the trail starts by the Visitor Center, down the road just a little. After our hike and another snack break, we loaded into the Honda Accord and took the Scenic Drive. The drive took us about 1.5 hours to complete. We only got out of the car maybe three times to take photos. 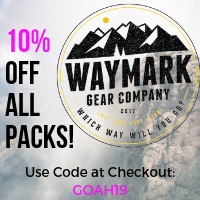 Remember that hiking is not allowed outside of your car and pull-outs at any time. One of the best pull-outs in my opinion, was Artists Point. 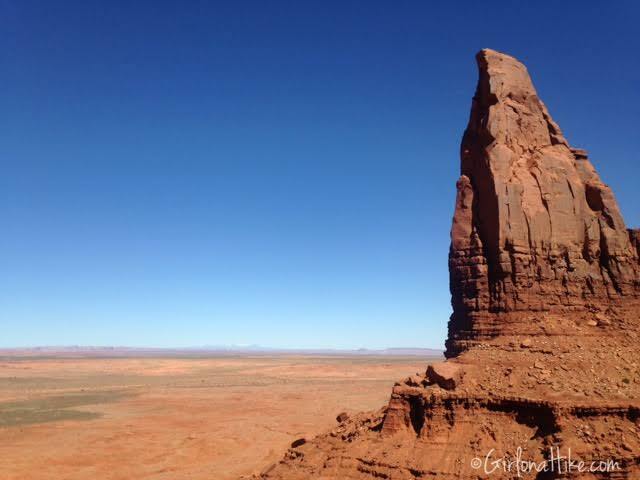 The view of the vast landscape ahead was breathtaking, against this large spire. There is one picnic table available, but no shade. No restrooms are along the scenic drive. Stay tuned for our adventures on Day 2 to Natural Bridges National Monument! For a FANTASTIC video our all of our adventures from this trip, click here! Video by KatieWanders.com. Great recap and pictures! Love the jump shot and the awesome pictures of you among the monuments. 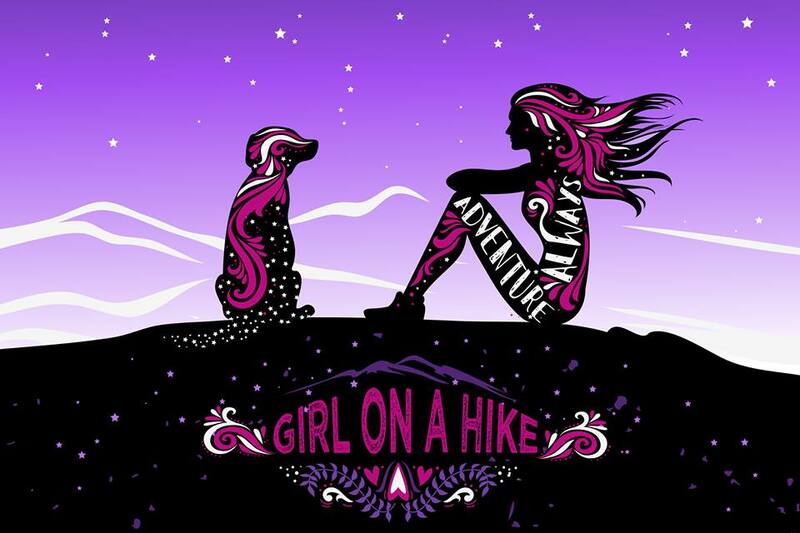 Way to plan a great hike! 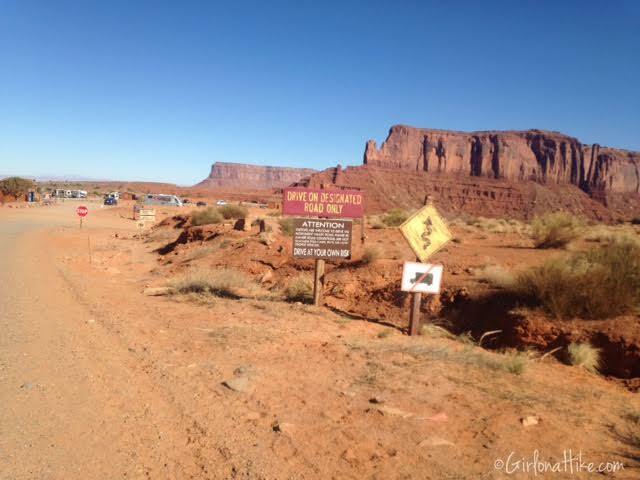 The next time you are in the area, head to Valley of the Gods going towards Bluff. 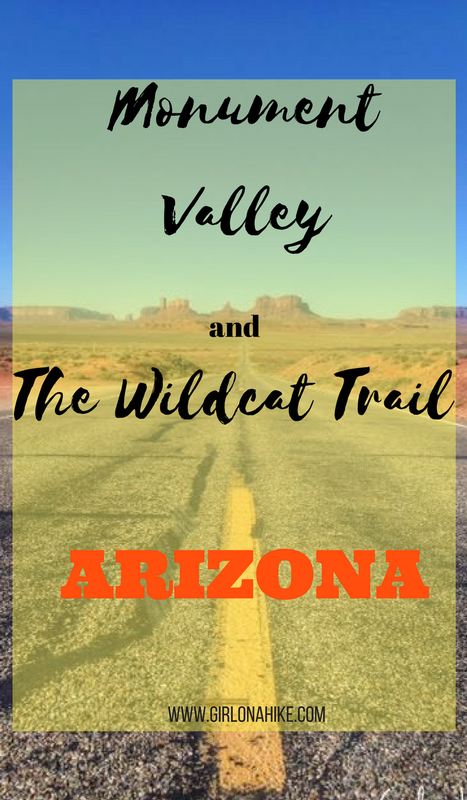 It has similar features to Monument Valley, a 17 mile loop dirt road, map with all the features named, and you can get out of the car and wander...all for free and no crowd!! We haven't been to Canyon de Chelly. We were going to head there and the Petrified Forest/Paint Desert this March then I realized you couldn't get anywhere the ruin in Canyon de Chelly. The only way to get a decent view is with a paid guide. So we scratched that park. 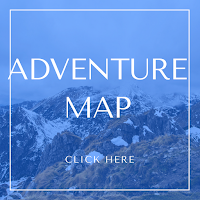 If you had continued north on 261 from the Moki Dugway (you could look down over some of Valley of the Gods from the Dugway) to the Kane Gulch Ranger Station, there are several amazing hikes to very cool Native American ruins. 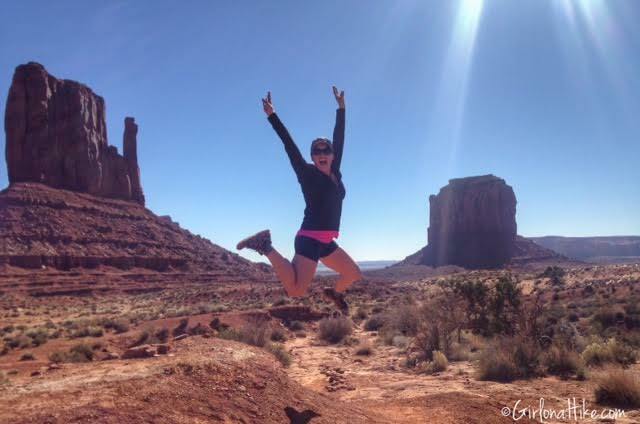 Two of our all time favorite hikes are to the Perfect Kiva out Bullet Canyon (a very challenging 11 mile hike with massive boulder climbing) and Junction Ruins. That whole Cedar Mesa area is jam packed with the best hikes to ruins. We are heading to Bluff on Thursday for the third time. Check our blog for Bluff for tons of super ideas. We may be heading your way mid May!! I'm planning a visit for Sept/Oct. This was a great overview! Thank you! 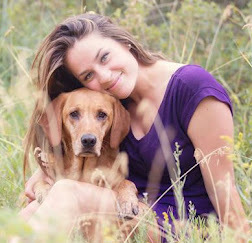 Dogs ARE allowed on the trail as long as they are leashed.